“I have instructed the KPDNHEP to immediately widen the scope of the Food Bank Malaysia programme to campuses of public universities to provide food aid to students in need,” its minister Saifuddin Nasution said in a statement today. The issue of starving university students was brought to the cabinet’s attention after recent media reports on this matter, he said. The Finance Ministry and the Education Ministry have agreed to provide support to this programme in terms of finance and logistics, Saifuddin added. The Finance Ministry has approved an allocation for 14 lorries equipped with chillers for the Food Bank Malaysia programme. 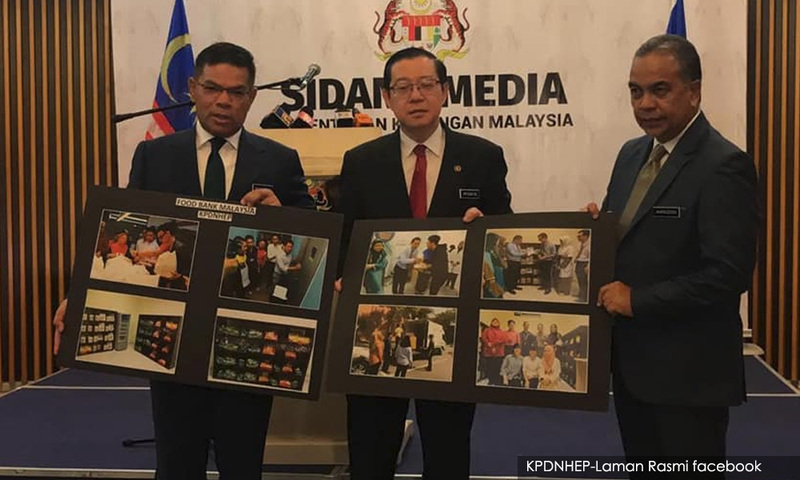 Saifuddin said the KPDNHEP is the mediator in getting commitments from supermarkets to provide their surplus food supplies, which would be given to the ministry’s strategic partners, such as Food Aid Foundation, Kechara Soup Kitchen and Mutiara Foodbank, to be distributed. The Food Bank Malaysia programme, which was officially launched on Dec 22, 2018, has successfully obtained commitments from 430 branches of supermarkets nationwide to provide their food surplus. Saifuddin added he had personally met with 20 vice-chancellors of public universities on March 4, and they have agreed to have the Food Bank Malaysia programme on their campuses immediately. The programme has started entering university campuses, he said, beginning with Universiti Kebangsaan Malaysia (UKM) on Feb 26 and Universiti Malaya (UM) on March 7. Tentatively, the next few universities to receive the programme are Universiti Putra Malaysia on March 21, Penang Universiti Teknologi Mara (UiTM) on March 23, Universiti Malaysia Pahang on April 1, Universiti Sains Malaysia (USM) on April 8, Universiti Utara Malaysia on April 15 and Universiti Malaysia Sabah on April 22. The minister said he also met with the Youth Consumers Association, which agreed to have the Food Bank programme on university campuses handled by students. 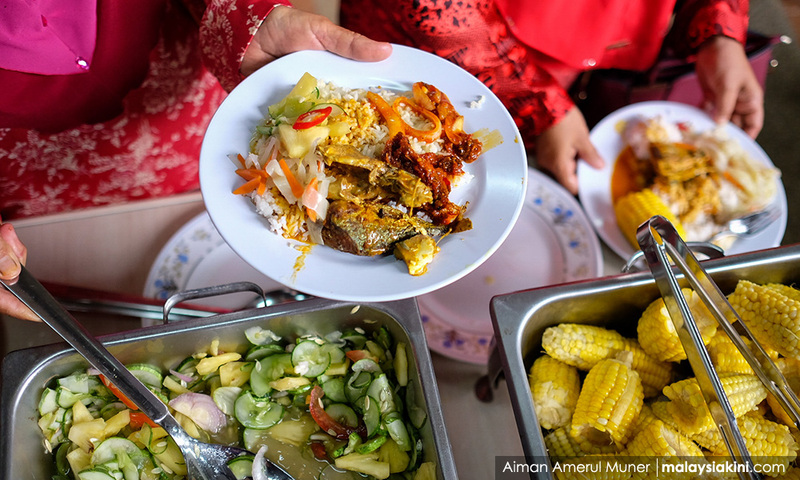 The KPDNHEP is also consulting with stakeholders to draft a relevant bill for the implementation of food banks in Malaysia, hopefully to be tabled in Parliament by the end of this year, Saifuddin said. “The issue of starving students is a personal issue and is close to my heart. I will devote my full time to resolve this issue as fast as possible,” he said. Port Dickson MP Anwar Ibrahim called this issue of starving students a “big” issue that he brought to Parliament. “I have spoken to the menteri besar of three states to have a special allocation. It doesn’t have to be a lot, just give RM100 to those in need in Negeri Sembilan, Selangor and Penang. “This is because the finance minister is already now coming up with a bigger allocation (to address this issue). But that process will certainly take some time,” Anwar said in Parliament today. Picture yourself in a shopping mall. You are about to get on an Escalator (up or down). You put a quarter in a slot before you get on the Escalator; you do not have to it will run up or down regardless. Because you put a quarter in, a set of lights track you to the top or bottom. If someone behind put a quarter in, a different colored set of lights track them to differentiate you two. Because you put a quarter in, when you get to the top or bottom you pull out a ticket. The ticket is for 30% off Electronics at Target, 50% off Payless Shoes, 10% off Walmart, 15% off the Metro, 50% off the buffet as the Casino, a free play on a slot machine, etc. Whatever the store owners are trying to push is printed on the ticket (different odds if they want – the options are limitless). The infrastructure owner (Mall, Casino, Metro, etc.) receives 20% of the profit and coordinates with the store owners. The owner of the Escalator Profit System (EPS): currently me – receives 80% of the profits. Billions of people are moved on Escalators everyday. If a fraction of the Escalator Patrons put in quarters (and they will) – it is a Million Dollar + / each day business. I am trading this away at a cost of $0.00 Zero Dollars to my Fellow Americans. This is as good and real as it gets. Traded for our Liberty and to Promulguate Democracy – Uniting our United States of America henceforth forever more. Uniting our Democratic Earth. Proud Independent Democratic Nations Allied under Democracy. I need Leaders and Coordinators like YOU!! !